You may need to have your heart examined. This can be done with an echocardiogram . 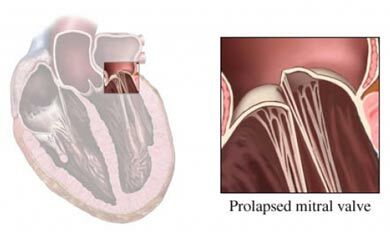 Antibiotic prophylaxis for heart patients. Mouth Healthy—American Dental Association website. Available at: http://www.mouthhealthy.org/en/az-topics/a/premedication-or-antibiotics. Updated June 2016. Accessed June 16, 2016. What is Marfan syndrome? National Marfan Foundation website. Available at: http://www.marfan.org/about/marfan. Accessed June 16, 2015.